Continental is one of the first luxury hotels in Ho Chi Minh City. 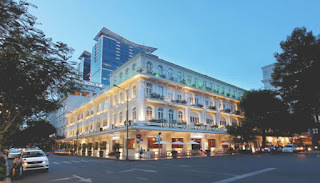 The hotel has its ideal position in the center of the city. There are the old architectures nearby such as The Municipal Theatre, People’s Committee of Ho Chi Minh City, Ben Thanh Market, shopping malls, restaurants etc. It is itself the old architecture that impresses all people by the typical features of the calm work from 19th century. Total of room: 83 rooms in which included the room types such as Superior, Deluxe, Junior Suite, and Premium Suite.